I had an interesting experience about a year ago on my way to work. As I was exiting the water taxi I said my normal “Have a great day!” to the deckhand. However, his unusual response has stuck with me since that time. 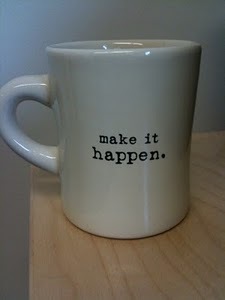 He replied, “Make It Happen!” Not “you too” or “thanks,” but make it happen! This idea has stayed with me over the months and has really made me realize that having a great day takes work. It takes an effort to make not just your day great, but also the experience of the people around you. It is in effect a call to action, the statement that if you want to make it a great day, you have to do something about it. You and only you have to make it happen. At MangoApps we are excited about making it happen for our customers and the business community. We’re excited to tell our story about how a collaboration solution like MangoApps can transform your business to achieve great things. We’re excited to share the lessons we have learned from both the industry and our very own customers about how improved communication and collaboration can make organizations more efficient and effective. We’re excited to take our 15 years of experience in technology, software, SaaS, and customer-focused solutions and work with customers to make it happen for their business. Collaboration can be a powerful asset to any organization, but it requires purpose. That purpose may be to share ideas and improve a product or business process, it can be to request feedback on a new document or even to work on a task associated with a project. Whatever it is that brings collaboration to life for your business, we look forward to helping people find purpose with their collaboration.